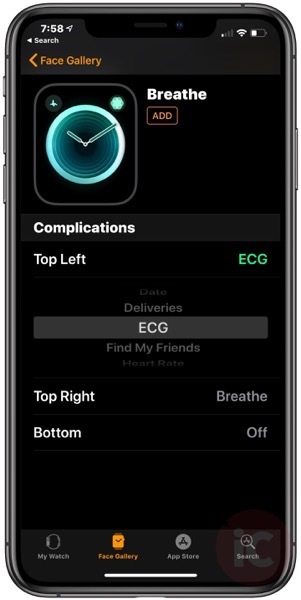 Earlier today, we saw how iOS 12.2 documentation referred to “non-US regions” for the first time, when referencing “the ECG app is available on Apple Watch Series 4 with watchOS 5.2, paired with iPhone 5s or later with iOS 12.2 or later”. This suggested a launch of the ECG feature outside of the U.S. for the first time, possibly in Europe, according to the addition of a ‘CE’ device marking as well. Now, it appears more signs of the ECG app are popping up, this time in iOS 12.2 in the Watch app in the Face Gallery, for users in Canada. If you head over to the Face Gallery and attempt to customize complications, you’ll see an option for ‘ECG’. If you try to add a new watch face with ECG as a complication, it won’t show up on your Apple Watch Series 4, however; it’ll just show a blank complication. Older betas of iOS 12.2 do not show the ECG watch face complication for Apple Watch Series 4 users in Canada, according to Actualités Apple and shared with iPhone in Canada. What does this mean? 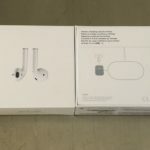 It could signal the launch of the ECG could be coming soon for Canadians who purchased a Series 4 Apple Watch here, or it could mean nothing at all and just be a bug. What do you think? Is the ECG feature in Apple Watch Series 4 coming soon to Canada? Time to wait for the final release of watchOS 5.2, expected later this week.